Award-winning Greenaway Scott has achieved the impressive results after working on a number of high-profile disposals, management buy outs, and acquisitions, with the combined deals achieving an aggregate value in excess of £100 million. With help from Greenaway Scott’s corporate team, the Bitcoin leader was able to successfully secure a seven figure investment from German-based company Finlab AG. The major funding boost will enable Vaultoro to expand its offering to incorporate additional currencies into its real-time trading platform. On the landmark achievement for the Cardiff-based team Mr Greenaway said: Greenaway Scott is proving to be a leading business advisory force not just across Wales, but across the international business market with these figures proving to be a testament to the hard work of our specialist teams. Our focus this year has been to expand our offering and explore diverse international markets which provide enhanced growth opportunities for us. In respect of the Vaultoro deal, we feel this has undoubtedly been achieved, and we are delighted to have assisted them in securing this seven figure sum. Thanks to our success this year, we are now planning ahead for further growth in 2018, with the aim of researching further opportunities in fast-growing markets such as Bitcoin. Constant re- evaluation of our offering and growth is vital to ensure we continue to meet our clients’ needs, while staying on top of industry trends. We look forward to the opportunities that lie ahead for us in the next year. Sustainable technology leader Suzannah Bourne has been appointed to the board of progressive Cardiff advisory group Greenaway Scott. The co-founder of Nemein, which develops technologies to enhance the safety of downhole oil and gas exploration, will join the firm as a non-executive director this month. Ms Bourne is a qualified mechanical engineer who has been recognised among The Manufacturer’ Top 100 role models as one of the UK’s dynamic leaders and innovators in manufacturing. She will join the board of Greenaway Scott Group, which currently includes chairman Peter Wright; CEO Nigel Greenaway; corporate director Matt Sutton; commercial director Rhian Osborne; and finance director Anthony Milford. Mr Greenaway, founder of the advisory firm, which provides legal and business finance advice across the life science, technology, pharmaceutical and IT sectors via group companies Greenaway Scott and Verde Corporate Finance, said they were delighted to have a non-executive director with such specialist business acumen join the board. He said: “Suzannah’s focus and impressive business sense are qualities we have long admired at Greenaway Scott and we are delighted to have her on the board. 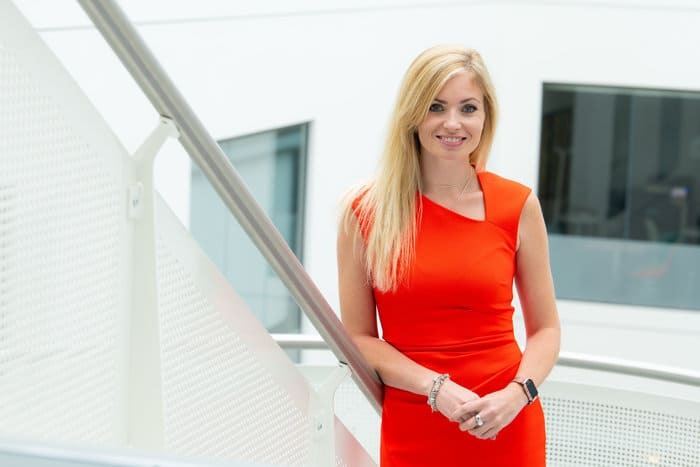 “Her passion for the sustainable technology sector has driven the undeniable success of Nemein and she will undoubtedly be an asset at Greenaway Scott. Ms Bourne has run Nemein for four years making her mark on the sustainable technology energy sector. Before this she co-founded and built Guardian Global Technologies. The director of industry-leading business advisory firm Greenaway Scott is “delighted” to celebrate their second award win this year. Director of the firm Matt Sutton said it was a privilege to be recognised alongside some of Wales’s top companies at the Cardiff Business Awards 2017. The annual awards, which took place at City Hall, recognise companies and businesses across Wales which have made a significant contribution and enjoyed success over the past 12 months. Greenaway Scott received the Financial and Professional Services Business of the Year accolade thanks to its significant achievements during this period. Over the last year the firm, which offers commercially considered legal advice across a range of sector specialisms, has recorded unprecedented growth of almost 100 per cent. During the year, it acted on a record number of lucrative deals with a combined value in excess of £130 million and expanded its property portfolio moving into a bigger HQ story in Cardiff and establishing a new Swansea office. It also took the innovative step of adopting an Alternative Business Structure (ABS), allowing it to operate within a multi-disciplinary group structure. Thanks to this, the firm also scooped a Cardiff Life Awards earlier this year in the Legal and Financial category. Collecting the award on behalf of the firm, Mr Sutton said: “We are delighted to have been named as the Financial and Professional Services Business of the Year at this year’s Cardiff Business Awards. “To be recognised among such an inspirational group of professionals is humbling and we would like to congratulate them all on their nominations. “This award means a great deal to our firm, which has enjoyed a level of growth and success over the past year that we are extremely proud of. “Our team of talented lawyers has worked exceptionally hard to help us achieve our ambitious aims. Thanks to their determination we have expanded our presence across Wales and the south of England, and acted on a record number of deals. Greenaway Scott has made two senior appointments at its recently launched Swansea office. The award-winning firm has welcomed Leanne Thomas and Aimee Thomas to the new office, which was established earlier this year within the heart of Swansea University’s multimillion-pound Bay Campus. Leanne joins Greenaway Scott from Eversheds Sutherland, where she worked as a corporate solicitor. She will lead the corporate team at the new Swansea office in the senior role of associate director. Aimee, has joined the Swansea team from Capital Law. She will work with the corporate team and has joined as a corporate support lawyer with a focus on commercial property. 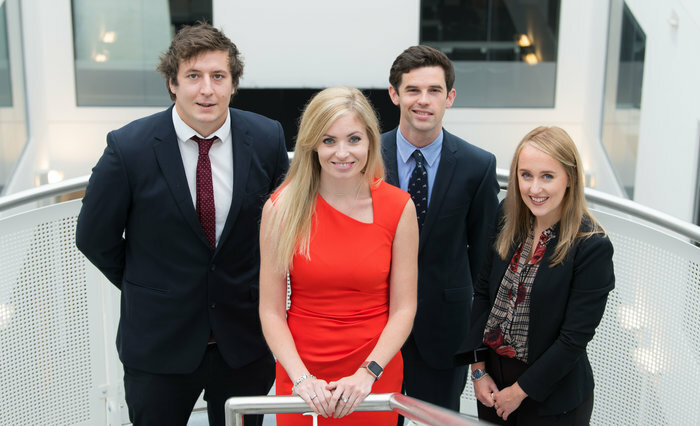 They will be joining IP lawyer Rhys ap Gwent, corporate commercial executive Catherine James, and commercial and IP lawyer Chelsea Parker, alongside Rhian Osborne who leads the Swansea office. The office opening marks an “exciting new phase for the firm,” which already has offices in Oxford and Cardiff, according to senior director and co-founder of Greenaway Scott, Rhian Osborne. Miss Osborne, who obtained a Neuroscience degree and Graduate Diploma of Law from Swansea University, added that she was thrilled to be taking on the new challenge. Greenaway Scott provides corporate, commercial and intellectual property advice to companies, with particular sector specialisms in the life science, technology, pharmaceutical and IT sectors.